A monastery that focuses only on nuns is also found on the island and twenty nuns still live here. Another great stopping point on Tinos is the town of Pyrgos, which is home to several marble masterpieces and other works of art. Travelers can visit on their own by taking the Mykonos ferry and securing a rental car upon arrival or by booking a convenient guided tour. Those interested in visiting the remote Delos Island and exploring its ancient ruins are pleased to discover that many companies offer yacht cruises from Mykonos to this region. 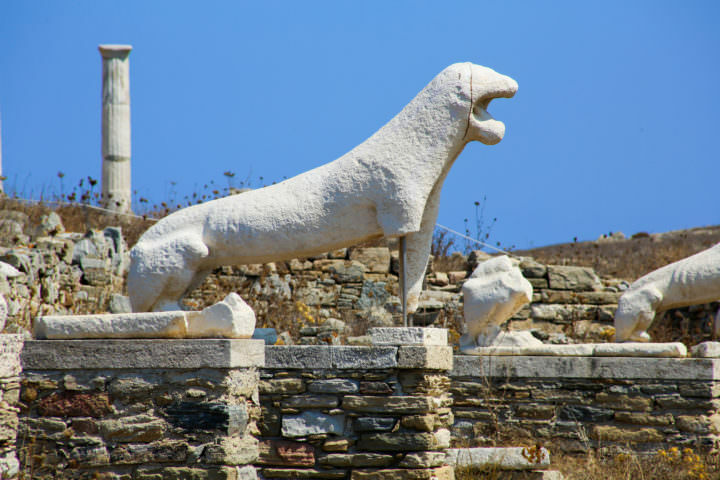 A UNESCO world heritage site, the archaeological wonder of Delos is a terrific place to learn about Rhenia’s ancient history or take a secluded swim and then head back to the yacht for lunch and cocktails. From the yacht or from Delos itself, a clear view of the beautiful Cycladic islands can also be seen. An easy trip from Mykonos, Paros Island can be reached in 30 to 60 minutes by ferry, and is a great choice for anyone searching for a quaint village in which to sightsee, swim or tour authentic, 13th-century structures. 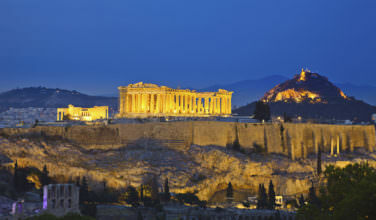 A beautiful Venetian fortress is also found on the island, featuring cobblestone streets and genuine Greek architecture. Located a stone’s throw from the beach, a tour through the fortress is an ideal preliminary activity for those planning to enjoy swimming and other water sports on Paros Island. The village of Parikia is home to the area’s only bus stop, and buses run to popular sections of the island throughout the day and evening. Those who enjoy interesting historical sites and beautiful golden beaches should consider a day trip to Naxos Island, which is located in the center of the Cyclades. 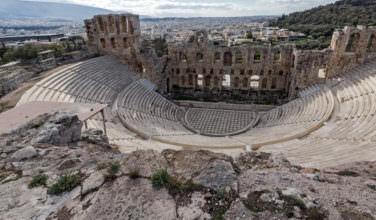 One of the Aegean region’s most popular tourist destinations, its beaches are peppered with water sports centers, restaurants, hotels and bars. The eastern side of Naxos Island is much more secluded, and offers hiking trails, small, quaint villages, and deserted beaches and coves. Some of the island’s hiking trails lead to tall mountains in the Cyclades, where spectacular views can be enjoyed. 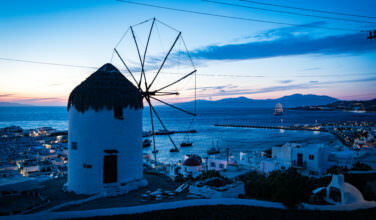 Naxos is easy to reach by ferry in about 45 minutes from Mykonos. 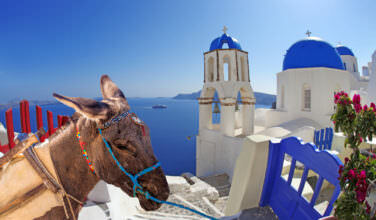 No matter which island one chooses to visit, he or she will find a vast array of interesting things to do and see. However, vacationers should not limit themselves to just one day trip, as scheduling multiple excursions of this type can greatly enhance a person’s holiday. Ultimately, all the islands mentioned above offer unique sights and sounds to travelers of all ages and from all walks of life.